Each cake is made from scratch using fresh eggs, real butter, pure cane sugar, and imported vanilla. Sweetologie is a custom cake company so each and every item is made to order. Our cakes are designed with the client and the event in mind. 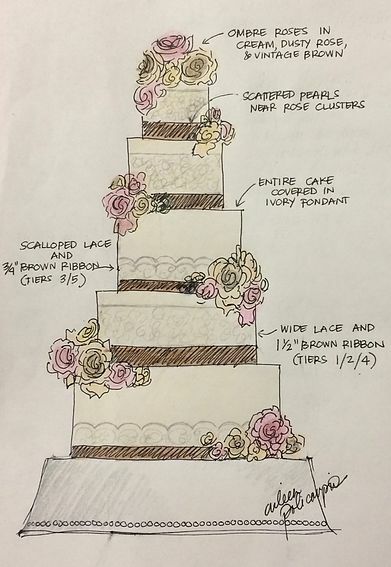 We can incorporate colors, designs, themes, personal details and create a one of a kind cake, just for your special event. View our galleries for a small sampling of cakes we've done! For even more recent pictures, like our facebook page or follow us on instagram.